It was always going to be unlikely Kanye West would be picking up a wilted bunch of petrol station tulips on his way home for Kim Kardashian-West’s birthday. 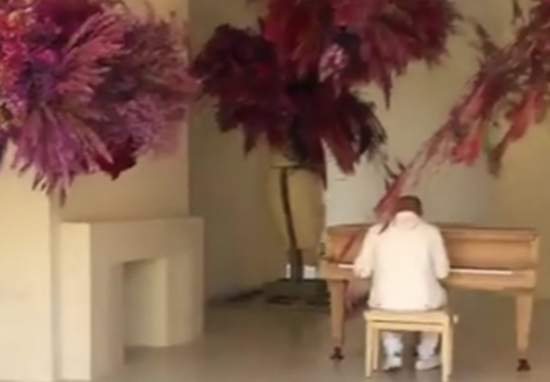 Instead, the 41-year-old rapper showed off his artistic nature, with a voluminous floral arrangement which wouldn’t have looked out of place in a modern art exhibit. With dark, vivid shades of pink and purple, the blooms looked more like fantastical, fluffy birds swooping this way and that; no doubt enchanting their three young children. Taking to Twitter, a clearly thrilled Kim shared a video which showed the blooms filling the room like gorgeous storm clouds; while light jazz music gently played on the piano. The most beautiful birthday flowers in the world!!!!! I have the sweetest most creative husband! Thank you babe love you so much!!! I will keep trying to make things that can express how beautiful you are inside and out and how much I love you and our family. Twitter quickly became divided. 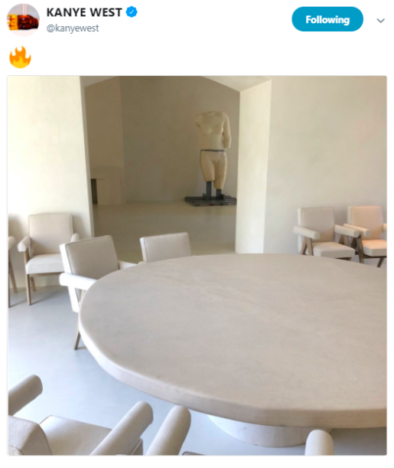 Half of Kimye fans were blubbing with emotion at the romance of it all, while the rest were a little puzzled by one aspect of the video in particular: Where has all the furniture gone? The room with the flowers in it is absolutely huge, but completely bare aside from the piano, statue and of course the flowers. The walls and floor are white, with one piece of black and white art hanging on the wall. Anyone who has ever visited a family home with little kids has been left surprised by the vast, empty amount of space; prompting the inevitable question: Are the Kardashian-Wests shoving their belongings in a messy cupboard under the stairs? Did y’all just move in? Babe u ok? Need sum furniture? Some people likened the minimalist home decor to ‘purgatory’, while others said it was a ‘depressing bare house’. Girl do you want me to go furniture shopping with you because that house is so bare. 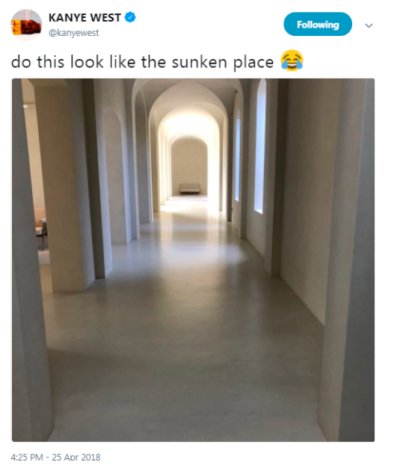 Back in April 2018, Kanye tweeted pictures of their palatial 15,700-square-foot home; comparing the overall aesthetic to the notorious ‘sunken place’ from Get Out. It’s a cross between the simplicity of Zen paired with Vatican-styled lines. If Giorgio Armani designed a shrine in Kyoto, it would look like Kim and Kanye’s [home]. My initial reaction was that I felt like I was peeking into a monastery, The space lacks warmth. My life is chaotic, so my home is supersimple. Everything has to be clean. No clutter. I can’t have a full phone. At the end of the day, I delete everything that’s not a current conversation. If I need some information, then I keep it. If not, it has to be deleted. I can’t see too much noise. As somebody who currently has over ten thousand unread emails in my inbox and a ‘clothes pile chair’ I must say I kind of weirdly admire her philosophy.